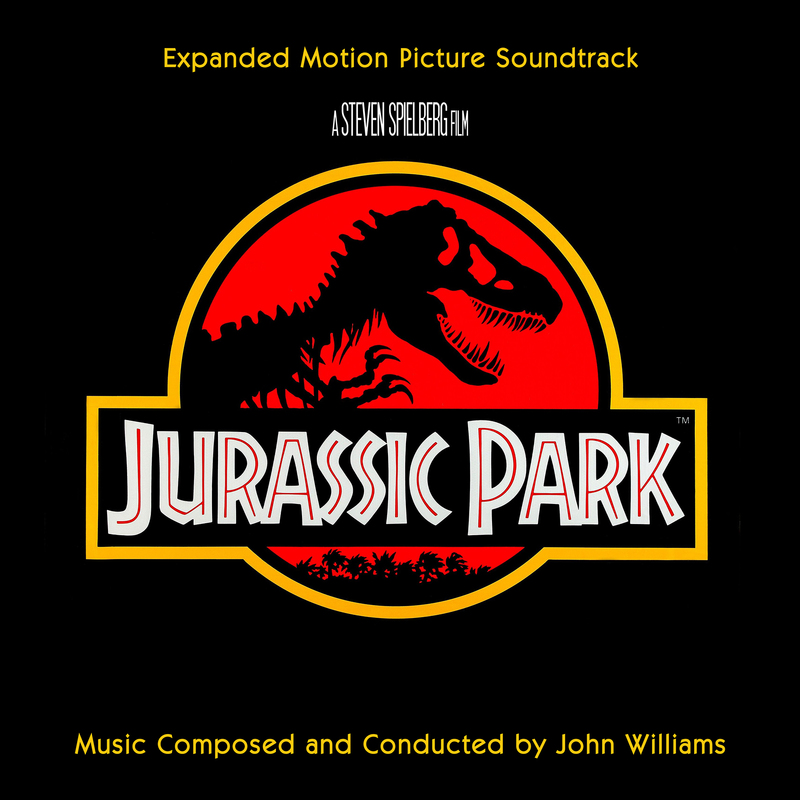 As with many soundtrack fans in my age, my real, devotedly love for film music started with John Williams’ 1993 masterpiece Jurassic Park. The film reignited the blockbuster torch, that was lighted by Jaws eighteen years earlier. Therefore it was all the more appropriate for John Williams to revisit the style, that skyrocketed his career in the first place. 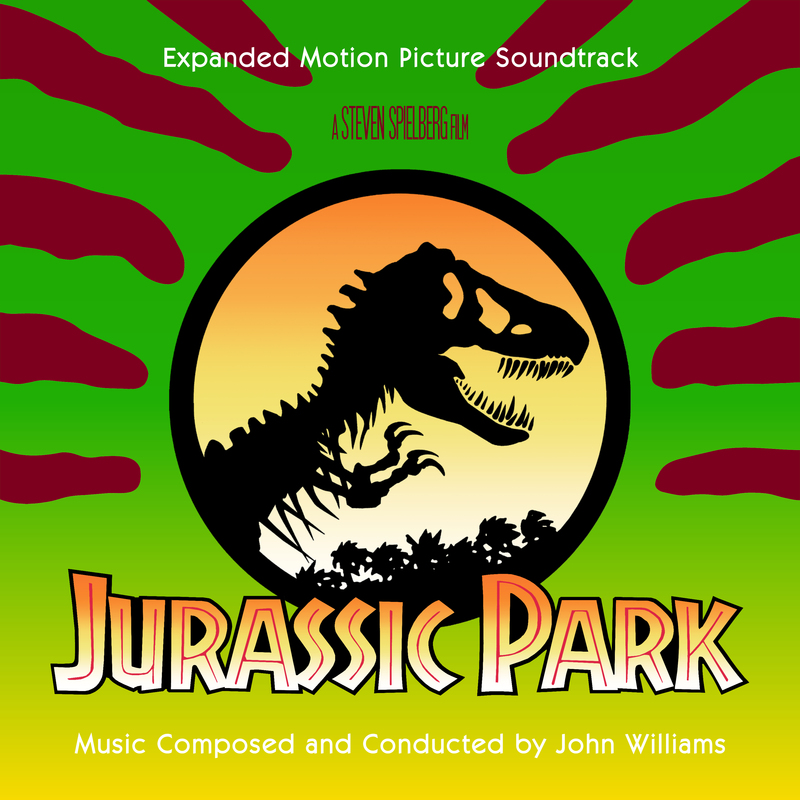 The score to Jurassic Park bursts with lush thematic cues and swashbuckling action pieces. 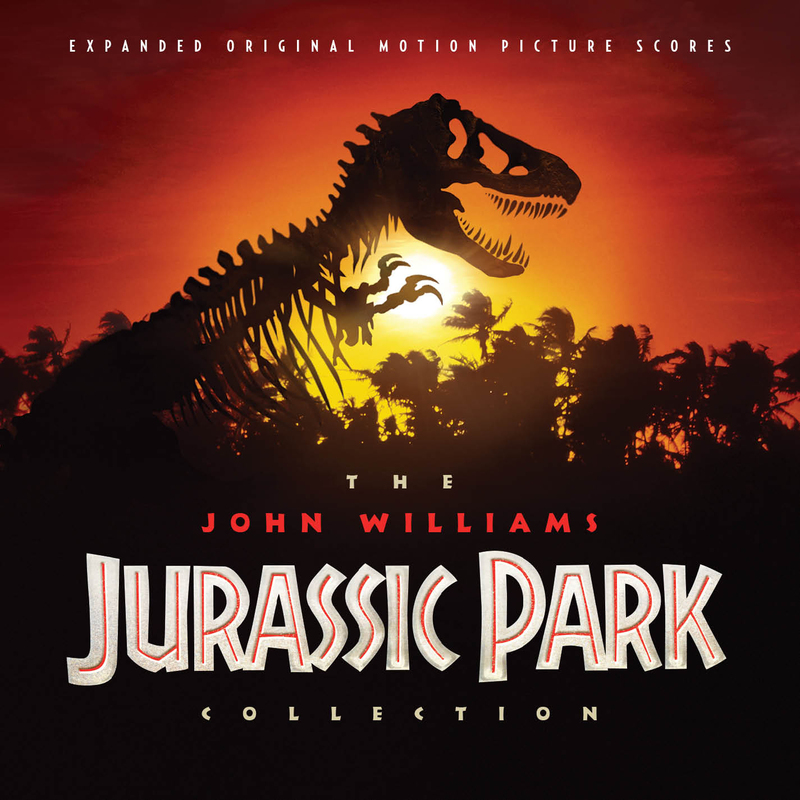 Williams beautifully captured the grandness and excitement, but also the danger of a theme park filled with dinosaurs. It’s definitely one of his finest moments to date and a true film music classic. One that deserves only the best treatment in “custom coverization”. I want to start this post with a custom soundtrack cover for the 3D re-release that opened in cinemas this summer (#1). 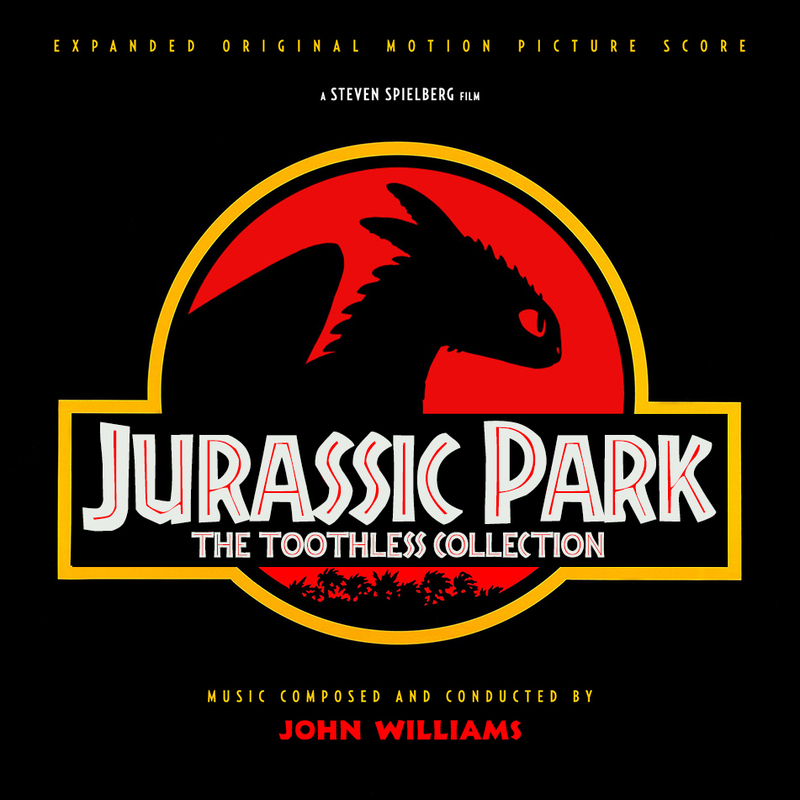 Geffen Records released the accompanying 20th Anniversary Edition Soundtrack, but surprisingly renounced a revision of the original artwork (maybe they liked the JP logo as much as I do). So I worked the official poster into a completely new soundtrack cover. Although the entrance gate’s perspective is a little off, I find this image to be really successful. I wanted to make the font appear three-dimensional, like the surface it sits on. Please view in full screen, since this one is in ridiculously high resolution. The two covers that follow (#2, #3) are variations of the original soundtrack artwork. I ommited the Steven Spielberg credit from the first one to give the logo more space and maintain a balanced orientation. Speaking of the Jurassic Park logo, I think this is one of the most iconic images in cinema history. Its simplicity and elegance is timeless. The colours, the radiuses, the font weighting and overall composition, every element is just on the spot. It’s flawless and perfect! I love how Universal Studios entirely opted on in-story merchandising material to promote the real-life film. It gives you the feeling as if it almost were a real theme park. I considered to create more varying styles for this custom cover series, but that emblem is everything and anything you need to know about that film. So the first two of the remaining three covers (#4, #5) are customizations of the original score artwork with different wallpapers used as backgrounds. Unfortunately I don’t know the source of the first image, but the second one was created by deviantART user “Muldoon85“. For the album credits I used the original font, yet I designed it in style of the respective background image; specifically as a three-dimensional, floating object (#4) and as painted letters (#5). Oddly enough, but the last two customs are based on objects and come along a little more lighter and uplifting than the rest of the bunch. 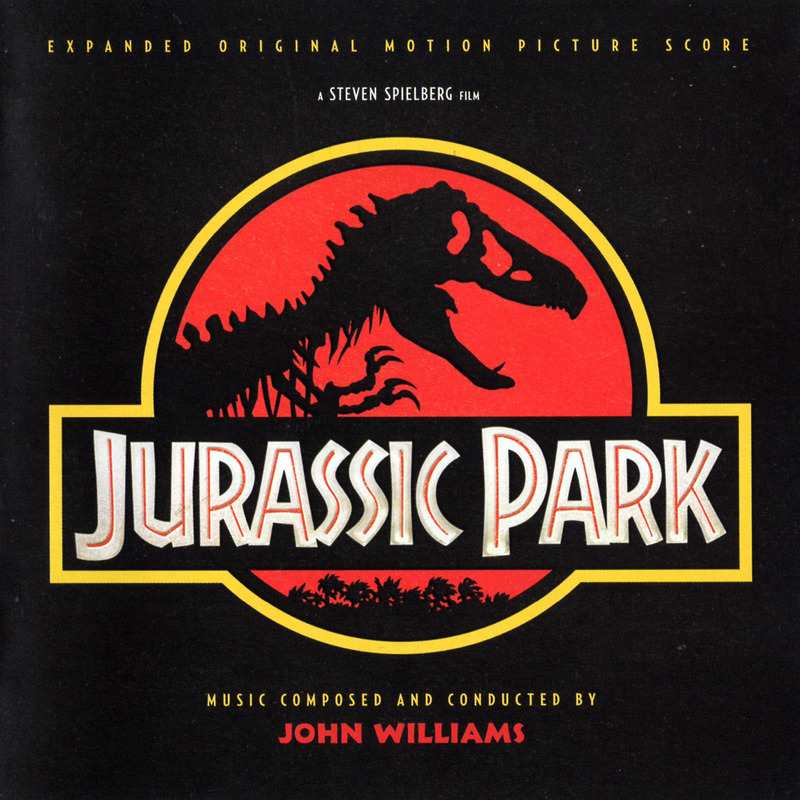 For once a “boxed” version of the score (#6), based on the Jurassic Park Adventure Pack DVD. 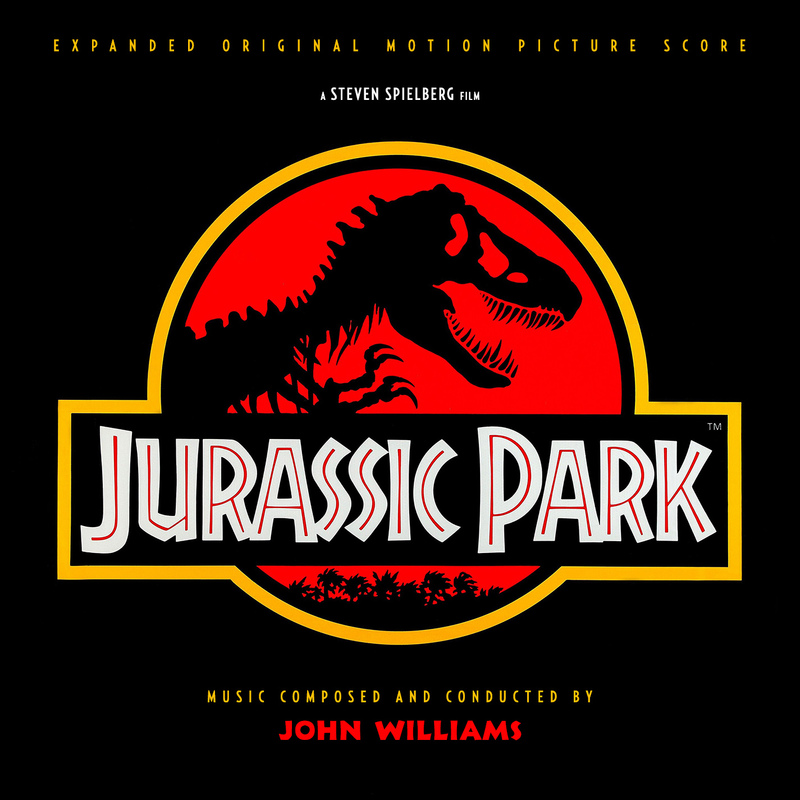 The second one (#7) was inspired by the tour vehicle from the film, the Jurassic Park Explorer. I was lucky to grab a few textures from this site and based the whole concept on this Jurassic Park Explorer poster by deviantART user “Boomerjinks”. It’s an awesome design I immediately got hooked on, so my custom cover treatment was inevitable. 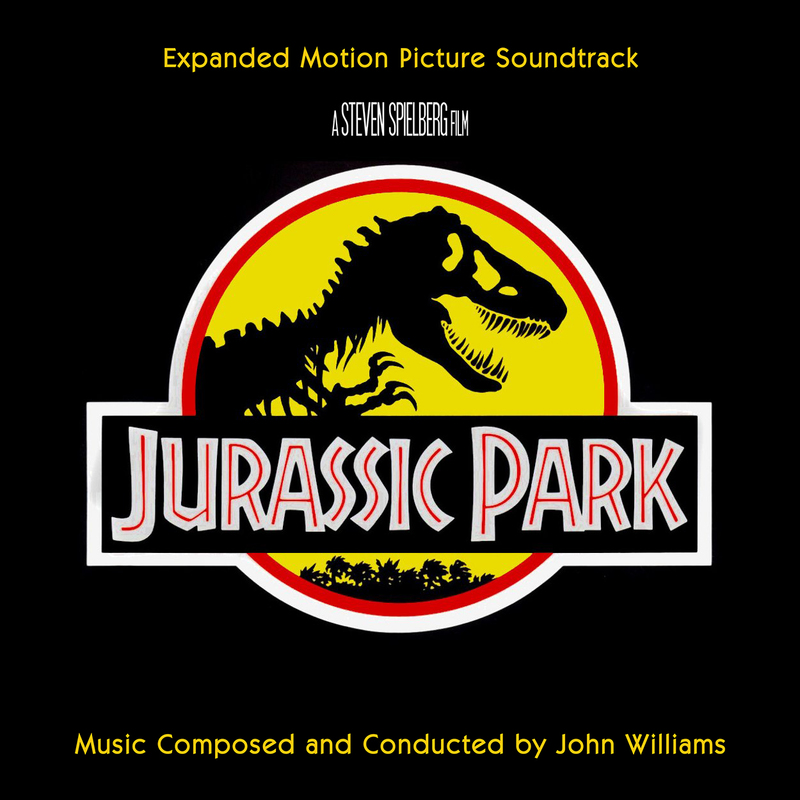 Christmas 2016 is coming early with La-La Land Records’ recently released John Williams Jurassic Park Collection. The one score that initiated my true love for film music is back in full remastered glory. Below you find some slightly updated versions of my previous customs of which I was able to find my old templates. And also a remake of the newly revised official cover, carefully recreated by FFShrine member “FilmScore1978”. This way, please for The Lost World. In addition to that I have also made an effort and cleaned and patched up a digital PDF version of the original liner notes booklet that came with this newly expanded edition. So feel free to take a deep dive into one of the greatest film scores of the late twentieth century.